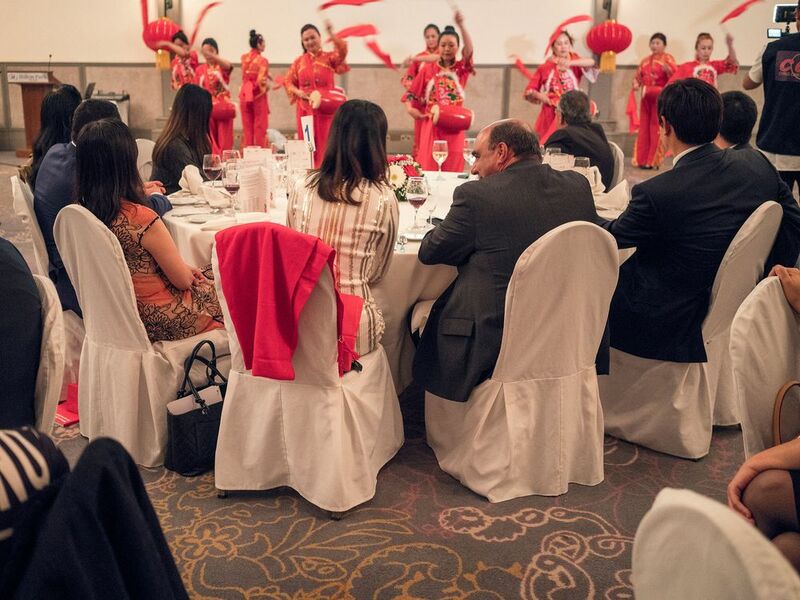 The heavy scent of citrus blossom hung outside the Hilton Park hotel in Nicosia, Cyprus, where about 100 small-business owners, lawyers, accountants, and their partners packed into the ballroom to mark the Chinese New Year. Guests were treated to a fan dance and a performance by drummers clad in red silk costumes. But the symbolism went far beyond celebrating the Year of the Dog’s arrival: This was about cementing a burgeoning relationship between two unlikely partners. One is an increasingly assertive global powerhouseof 1.4 billion people, the other an island nation of 1.2 million that boasts a strategic location and a reputation for a no-questions-asked approach to financial affairs. That makes for a compelling match as China seeks to expand its footprint inside the European Union. 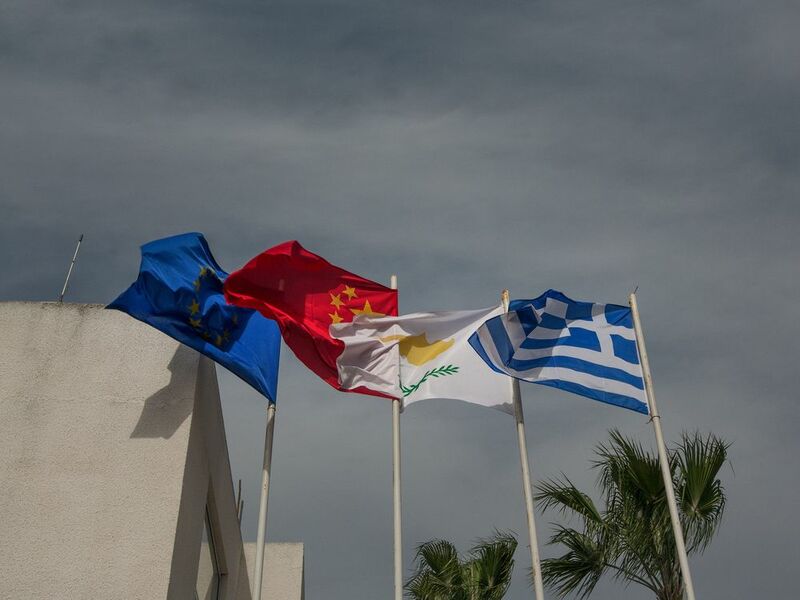 “We have investments right across all sectors of the economy,” Christodoulos Angastiniotis, president of the Cyprus Chamber of Commerce and Industry, said before joining the other guests to hear speeches extolling the excellent state of China-Cyprus relations. As U.S. President Donald Trump builds barriers to Chinese trade, Cyprus is throwing open the gates. The Mediterranean country’s stance is also at odds with those of some of the EU’s bigger economies, which, alarmed by China’s appetite for acquisitions, have become more assertive in vetting deals. It may be a case of too little, too late: China is already deeply embedded in Europe, owning everything from ports in Spain, Greece, and Belgium to a German airport, stakes in North Sea oil rigs, and soccer clubs in England and Italy. Such is the dilemma confronting governments across the globe as they weigh the question of how to manage China’s growing clout. Few countries can afford to shun investment from China’s $11 trillion state-run economy, especially one such as Cyprus, whose per capita gross domestic product, at $27,000, is a little over half that of Germany. It may not be immediately visible, but Chinese money is everywhere in Cyprus, from real estate to shipping, financial services, tourism, and renewable energy. The only exceptions may be olive oil and halloumi cheese, though these are now being exported to China. At the event in Nicosia, Chinese Ambassador Huang Xingyuan spoke of the “huge potential” offered by China’s Belt and Road initiative to double bilateral trade to more than $1 billion—equivalent to about 5 percent of Cyprus’s annual economic output. Lawrence Ho, the billionaire owner of Hong Kong-based Melco Resorts & Entertainment Ltd., visited Cyprus in January to lay out his plans for what’s being billed as Europe’s biggest integrated casino resort, a $670 million project. China’s JimChang Global Group is investing 100 million euros ($122.9 million) in a five-star hotel and housing development near Ayia Napa, via a joint venture with Cyprus property group Giovani. And at Larnaca, site of Cyprus’s main airport, state-owned China Communications Construction Group Ltd. is one of two bidders shortlisted to take control of the port and adjacent marina. There are also plans to start direct flights to Beijing after Cypriot airline Cobalt Air received a capital injection from Aviation Industry Corp. of China. Standing at the crossroads of Europe, Africa, and the Middle East, Cyprus has fallen under Greek, Byzantine, Ottoman, and British influence through the centuries. More recently, it became the destination of choice for Russian money before succumbing to the European debt crisis that forced the Cypriot government to take an international bailout in 2013. The economy has yet to return to its size before the crisis. One person’s gateway is another’s backdoor, according to reports in recent months on the nature of China’s involvement in Europe. The most comprehensive, called China at the Gates, by the European Council on Foreign Relations (ECFR), asserted that Beijing is trying to divide the EU to further its interests. China “seized the opportunity of the euro crisis for massive takeovers in southern Europe,” where the economies were most ravaged, it said. German Chancellor Angela Merkel and French President Emmanuel Macron are taking the lead on tackling China’s attempts to take advantage of Europe’s open economy while it maintains barriers to foreign investment at home. They back EU moves to tighten up screening of outside Chinese investments. The wake-up call for Germany was the $4.5 billion acquisition of robot maker Kuka AG by China’s Midea Group Co. in 2016. More recently, Chinese billionaire Li Shufu’s purchase of a $9 billion stake in Mercedes-Benz parent Daimler AG has stoked government concerns that the balance of national interests against those of outside investors is weighted in China’s favor. Cyprus’s ally Greece has already pivoted to China, who bought the country’s government bonds during the Greek debt crisis. In recent years, Chinese investors have acquired control of the port of Piraeus, along with a major stake in the national power grid. Last year, Greece blocked an EU statement at the United Nations that was critical of human rights in China. Lying adjacent to Turkey, Lebanon, Syria, and Israel, there’s long experience in Cyprus of being on the front line of geopolitical power plays. Turkish forces invaded the northern part of the island in 1974, and UN troops still patrol the buffer zone that bisects the country. Later it was Russians fleeing the Soviet Union who began arriving in numbers, lured by the sun, the taxes, and, subsequently, the chance to procure an EU passport in exchange for an investment of 2 million euros in a Cypriot business or real estate. The same promise is now proving popular with wealthy Chinese. 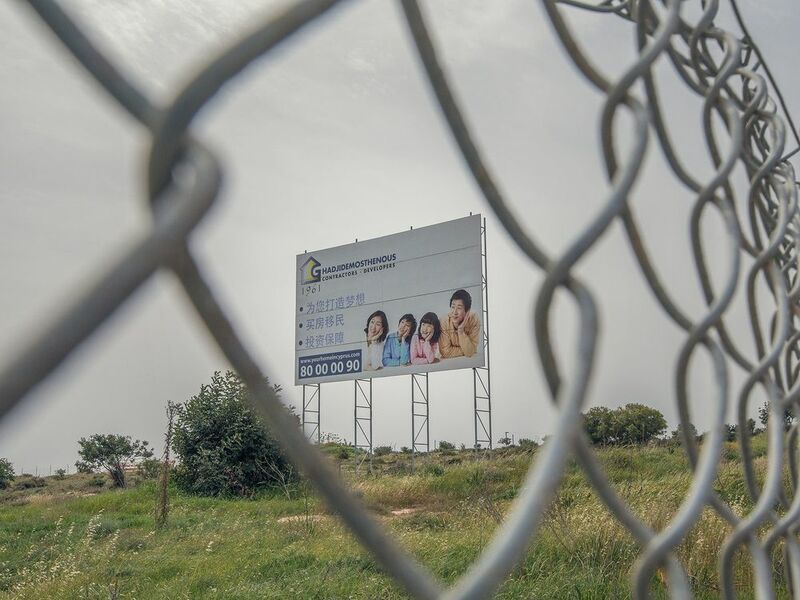 While just a few hundred strong, the fledgling Chinese community in Cyprus is making its presence felt on an island that takes barely two hours to traverse by car. Many of those arriving have settled in Paphos, where Greek legend has it that Aphrodite emerged from the sea. On the coastal road, ostentatious villas occupy the hills overlooking the city. Billboards advertising prime property stud the highway, in English, Russian—and now Chinese. Panicos Kaouris, president of the Cyprus China Business Association, shrugs off concerns that the onetime British territory may wind up becoming a client state of China. Cyprus is small and open, and its people are survivors, so why not welcome the new wave and make some money along the way?